standing of the Better Business Bureau. Based in Cuyahoga Falls, Rick’s Electric has been providing professional electric contracting services to customers throughout Northeast Ohio since 1982. We’re the right choice for all your commercial and residential electric needs. 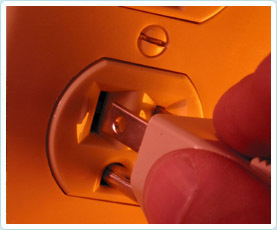 Our expert electricians are professional, polite, and personally committed to your satisfaction. Rick’s Electric is a family-owned business that promises to get your job done at the right price and right on time! No job is too big or too small. We won’t be satisfied until you are. Every electrician at Rick’s Electric has an in-depth understanding of electrical code standards to ensure all job safety measures are observed. Rick’s Electric is fully bonded and insured, giving you peace of mind, and the company is a member in good standing of the Better Business Bureau.